Available gearboxes on E21’s were the Getrag manual units and ZF automatics. Standard equipment on most models was a 4 speed manual. Overdrive 5 speed was optional and became standard equipment on some top of the range models in later years (1981-1982). There was also an optional close ratio 5 speed gearbox with a dogleg pattern and a 1:1 (prise direct) 5th gear for more sporty characteristics. The 5 speed gearboxes can be distinguished from the 4 speeds easily as they have an extended housing at the rear. The ZF 3HP-22 auto box has 3 gears. Because of limited availability of the 5 speeds boxes, a frequently asked question is if there are gearboxes from other models that are a straight swap. Because of the mechanical speedometer drive that is required for the E21, the choice is limited. First, the gearbox needs to be for the same engine type, i.e. M10 OR M20. On top of that it needs the mechanical speedometer drive as well. This means that only E12 M10 and M20 gearboxes can be used and sadly they’re just as rare as E21 five speed gearboxes. Please note that M10 and M20 gearboxes are not interchangeable and that the much more common E30 gearboxes do not have the mechanical speedo drive. When you are planning to buy a 5-speed for conversion, it is advised to buy a complete kit from a wrecker. 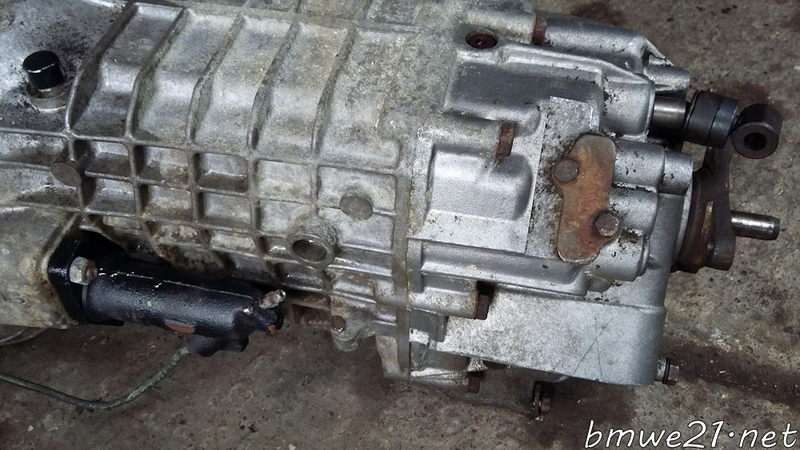 Since the 5 speed gearbox is longer, the propshaft is shorter and there are two different connections between box and shaft (3 lug and 4 lug). The steel plate holding the gear change mechanism and the connecting rod are also shorter as the shifter axle is closer to the driver now. So it is better to buy a box complete with propshaft and shifter mechanism. 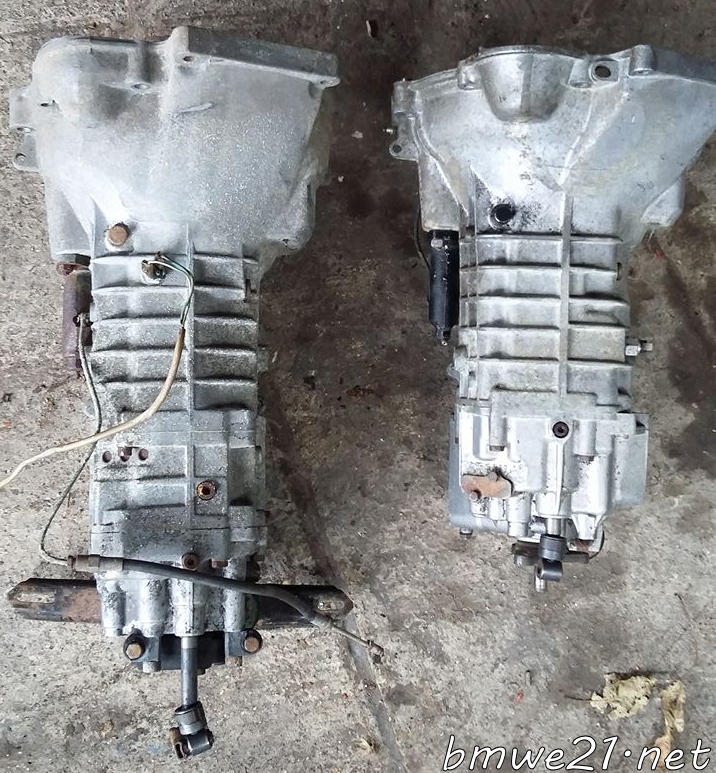 Thanks to member Kyle Summerfield we were also made aware of the fact that on the very latest 1982-1983 models, at least the M10 4 cylinder versions, a different manual eco 5-speed gearbox was applied as well. This gearbox cannot be recognized by its extension, it is in fact a few cm’s shorter than the regular 4-speed! Best way to check is to test out the shift pattern, just keep in mind this is mirrored if the complete switcher mechanism is missing so reverse gear can easily be mistaken for 5th gear… you won’t be the first to take a 4 speed home for way too much money! 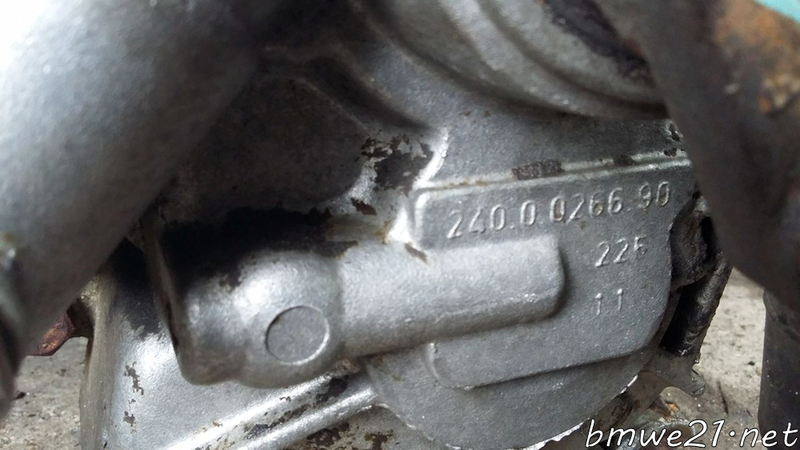 This gearbox appears to be numbered 240.0.0266.90.